Your heart is the most important muscle in your body. If it's weak, you're weak. There are a few things you can do to provide your heart with what it needs to be at its best. The first is to get plenty of exercise. Your heart is a muscle, it needs to be worked. Second, avoid toxins that damage your cardiovascular system — don't smoke, avoid high-fat foods, and eliminate refined sugar. Here are ten foods you can add to your diet to increase your intake of vitamins, minerals, nutrients, and antioxidants necessary to maintain a healthy heart. And they’re delicious too. Berries also have abundant antioxidants, nutrients that protect your cells against damage and boost your immune system. Studies have also found that eating berries regularly correlates with having a lower Body Mass Index or BMI. Broccoli and other cruciferous vegetables have been associated with a reduced risk of cardiovascular disease. A recent study showed broccoli and similar veggies lowered the risk of cardiac associated death more than other fruits and vegetables. Researchers have taken specific interest recently in the potential of a compound found in broccoli, indole-3-carbinol (I3C), for heart health. A study based on mouse models found I3C provided cardiac protection as it counteracted aspects of heart failure. A ½ cup serving of asparagus is loaded with folate, vitamins A, C, and K and provides a full range of minerals like magnesium and potassium needed for proper muscle function. 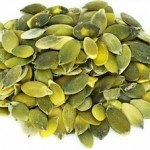 It also contains omega-3 fatty acids and provides a good source of protein. 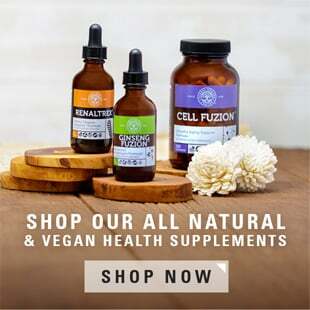 Researchers have also found the phenolic acids in asparagus significantly increase the effectiveness of detoxifying enzymes that facilitate the removal of drugs and other toxic compounds from your body. This protects the health and structure of the cardiovascular system. A single cup of chickpeas offers a complete source of vitamins (especially B-complex vitamins), minerals (zinc, iron, magnesium, selenium, and potassium), amino acids, and omega-3 fatty acids. A study evaluating the impact of chickpeas on lipid levels showed lower levels of cholesterol after they became a standard feature of the diet. Spinach, often referred to as a superfood, provides potent phytochemicals, vitamins A, C, and K, plus calcium and magnesium. One serving of spinach will give you 20 percent of the daily recommended value of magnesium. 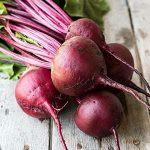 This is important as the body needs magnesium for proper muscle function, to control blood sugar, to regulate blood pressure and create glutathione, the body’s super-antioxidant. Perhaps the most complete nut, almonds provide B-complex vitamins, vitamin E, and high daily values of calcium, iron, magnesium, zinc, and potassium — all needed for proper muscle function, immune health and hormone balance. Almonds have also proven more effective at balancing cholesterol than eliminating dietary saturated fats, while providing necessary fatty acids for better overall cardiovascular health. 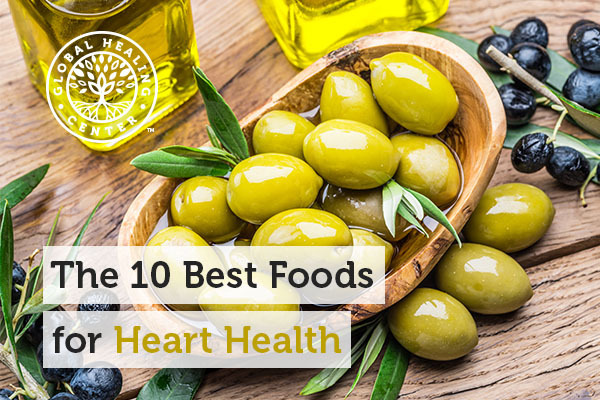 The heart-healthy Mediterranean diet features both olives and olive oil. They possess antioxidant properties and supply omega-3 fatty acids and phenolic compounds. Olives (combined with the next food on the list) help reduce your risk of cardiovascular disease. Now, I'm not suggesting you begin to live off red wine, and in fact, many offerings are not worth consuming. However, a number of organic wineries produce a great product. Red wine contains resveratrol, which has protective effects against most cardiovascular problems. Studies have isolated these beneficial effects to the polyphenols and their antioxidant properties. Again, the benefits only result when consumed in moderation. For a kid-friendly, or non-alcoholic source of resveratrol, give mulberries a try. Packed with nutrients and phytochemicals, avocados contain fatty acids that facilitate the digestion of the fat soluble vitamins within, or those consumed along with, the avocado. Preliminary studies have shown positive cardiovascular support from a diet that includes avocados. The polyunsaturated fats as found in walnuts have been linked to a healthy heart. 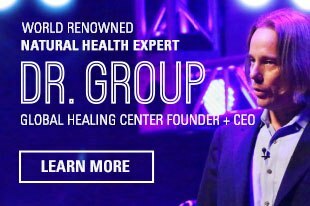 Recently their antioxidant levels have caught the attention of researchers. A 2012 study found walnuts possess a high oxygen radical absorbance capacity, indicating a powerful antioxidant capacity. Do you have a favorite that I missed? Please leave a comment below and share it with us! Basu A, et al. 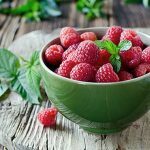 Berries: emerging impact on cardiovascular health. Nutr Rev. 2010 Mar;68(3):168–177. Huang H, et al. 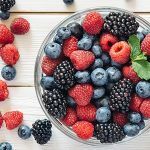 Effects of berries consumption on cardiovascular risk factors: a meta-analysis with trial sequential analysis of randomized controlled trials. Sci Rep. 2016;6:23625. Edmands WM, et al. Identification of human urinary biomarkers of cruciferous vegetable consumption by metabonomic profiling. J Proteome Res. 2011 Oct 7;10(10):4513-4521. Zhang X, et al. Cruciferous vegetable consumption is associated with a reduced risk of total and cardiovascular disease mortality. Am J Clin Nutr. 2011 Jul;94(1):240-6. Deng W, et al. Indole-3-carbinol protects against pressure overload induced cardiac remodeling via activating AMPK-α. Mol Nutr Food Res. 2013 Sep;57(9):1680-1687. Yeh CT, Yen GC. Effect of vegetables on human phenolsulfotransferases in relation to their antioxidant activity and total phenolics. Free Radic Res. 2005 Aug;39(8):893-904. Pittaway JK, et al. Chickpeas may influence fatty acid and fiber intake in an ad libitum diet, leading to small improvements in serum lipid profile and glycemic control. J Am Diet Assoc. 2008 Jun;108(6):1009-1013. Magnesium. Office of Dietary Supplements, National Institutes of Health. Updated 26 Sep 2018. Accessed 31 Jan 2019. Ortiz RM, et al. Is Almond Consumption More Effective Than Reduced Dietary Saturated Fat at Decreasing Plasma Total Cholesterol and LDL-c levels? A Theoretical Approach. J Nutr Metab. 2012;2012:265712. Pauwels EK. The protective effect of the Mediterranean diet: focus on cancer and cardiovascular risk. Med Princ Pract. 2011;20(2):103-111. Dreher ML, Davenport AJ. Hass avocado composition and potential health effects. Crit Rev Food Sci Nutr. 2013;53(7):738-750. Hudthagosol C, et al. Antioxidant activity comparison of walnuts and fatty fish. J Med Assoc Thai. 2012 Jun;95 Suppl 6:S179-88.